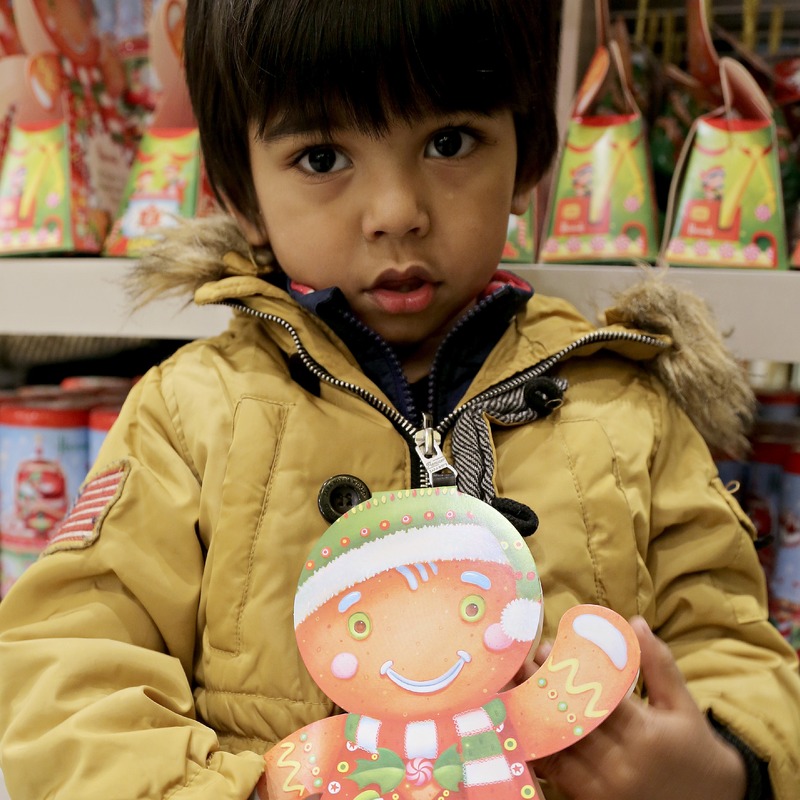 We decided to get creative this season with Biscuiteers – DIY Gingerbread House Kit. After all what is better than enjoying Christmas festivities in the comfort of your own home – especially on these cold winter afternoons. 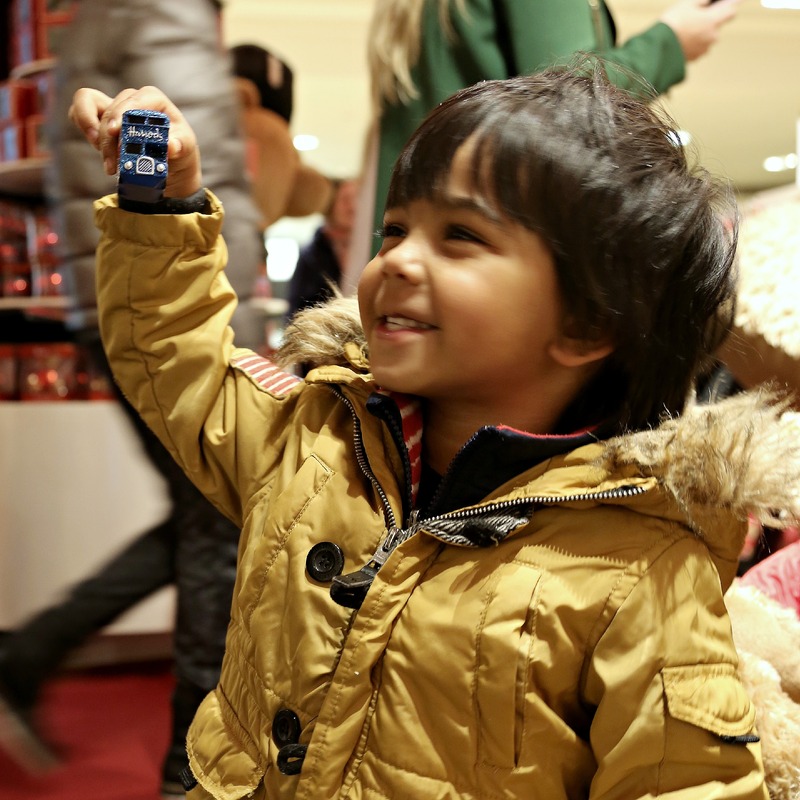 We heard that Harrods had began stocking the kit and thought that it would be the perfect way to spend some quality time with the little ones. This meant venturing to Harrods – which is an activity in itself! The store is such an amazing place to take your children. From fake snow-pits to giant royal bears, Harrods has it all. And not to mention the endless amount of sugary treats! He loves anything with wheels! 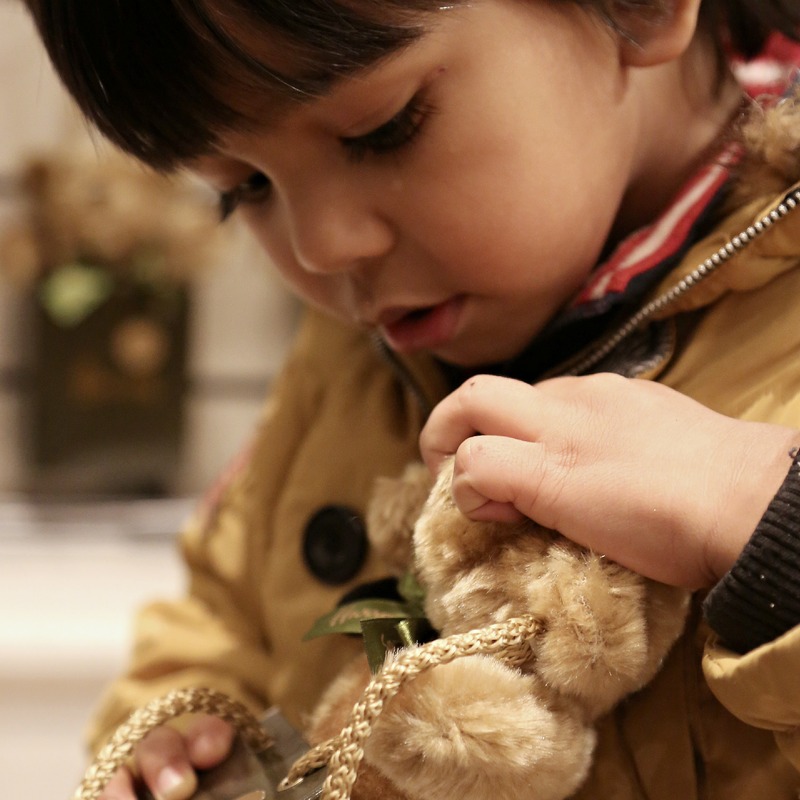 A bear in a Harrods bag! It is like toy heaven for them! And they always find ways of making the experience a non forgettable, educational one. As mothers it is important that we feel our children are in a safe learning environment, but still a place where they can interact with others and have buckets of fun. The best part of the day was seeing the boys get super excited for their Gingerbread House building mission. Christmas had definitely come early when they saw the kit in Harrods! After shopping for the Gingerbread house kit we wanted to get back as fast as possible to start assembling it! This is when the fun happened (and the mess!). 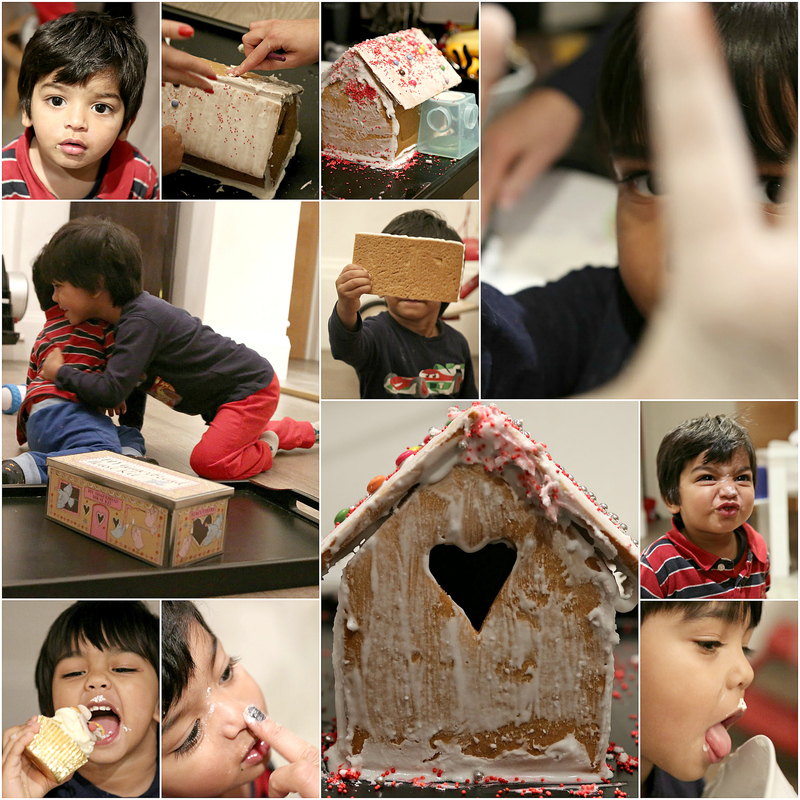 We loved spending time with our little munchkins building this Gingerbread House and we highly recommend it to every parent! It’s easy, fun and very festive! And not forgetting how amazing it tasted… Flavours of allspice and ginger tantalised our tastebuds! 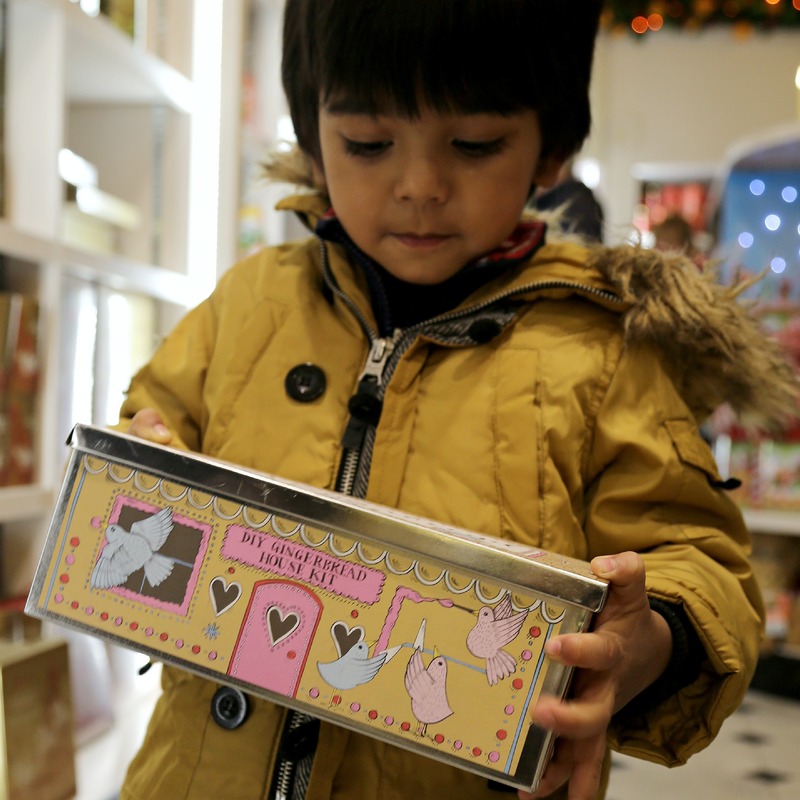 Get it at Harrods or online at www.biscuiteers.com – For only £35.